The end of life as I know it has been foretold and whilst the true believer does not fear death, any mere mortal inevitably clings to the life they have known with a sense of desperation. 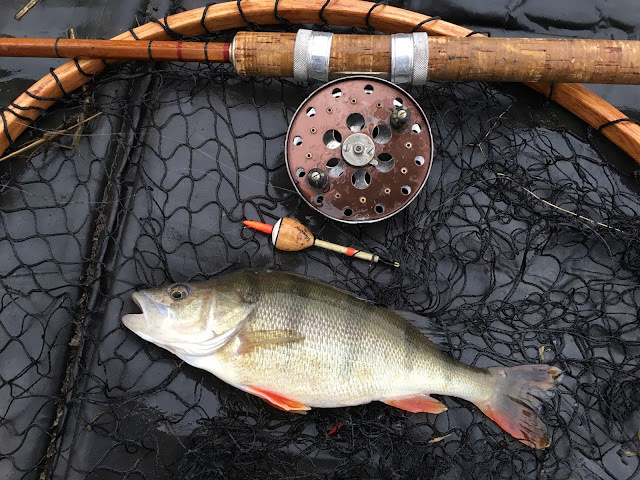 I am now counting the days to the very opposite scenario, a new life - my own daughter whom I cannot wait to meet and yet since Christmas have felt the necessity to fulfil something of an angling 'bucket list'. Winter is seldom as I remember it as a child: Toboggan rides, snowball fights, those blue Parka jackets with orange lining and faux-fur hoods that every school boy wore in the 1980s and the disappointment of another weekend I could not fish at Lake Shearwater because it had a thick lid of ice on it. 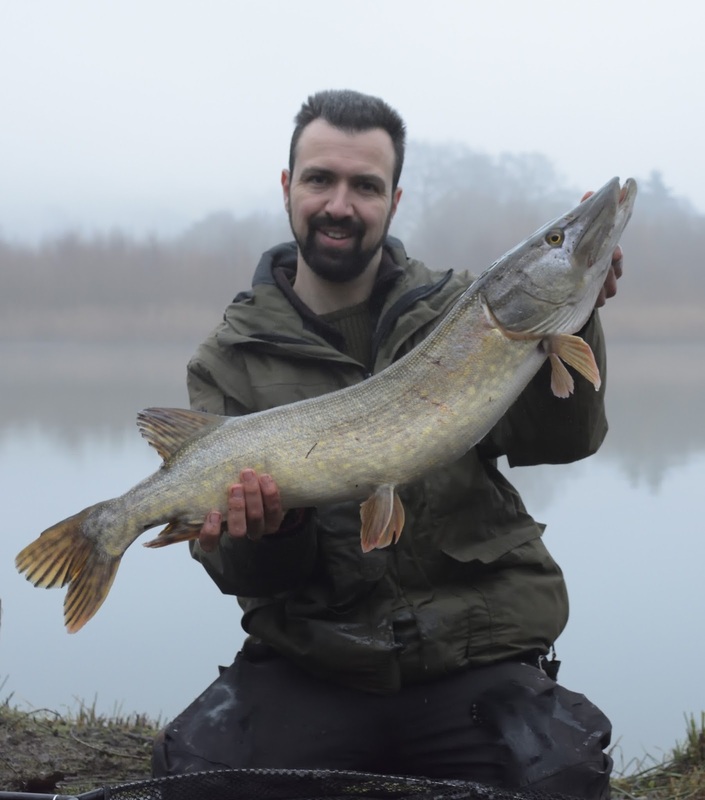 I never thought I would crave the cold but warm winters are not conducive to pike fishing and so as soon as the frosts first came I was out looking for esox lucius. A 15lb Pike from a stour valley stillwater. 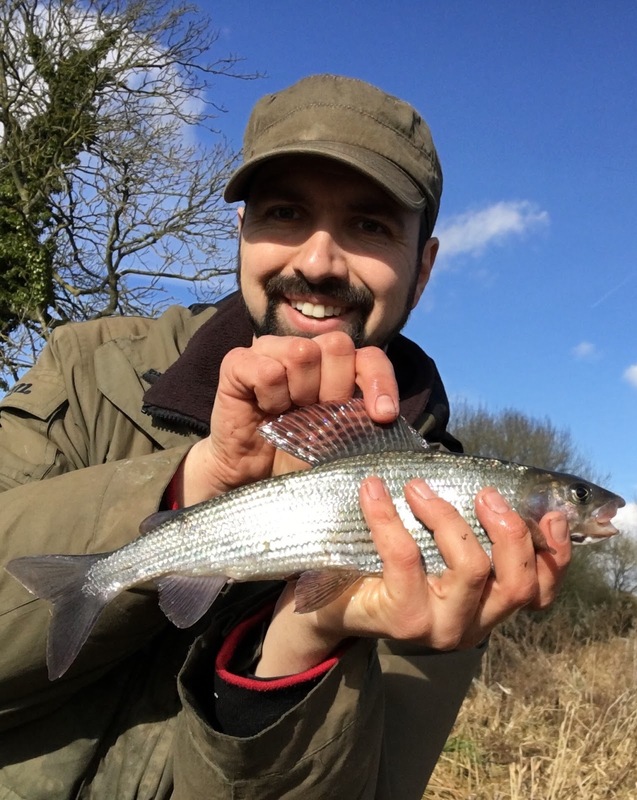 Grayling are synonymous with winter and regarded perhaps comically as a commendable quarry for carp anglers during the colder months. Last February I made my first pilgrimage with Matthew to the River Itchen where I was baptised into the cult of cane. Such fun was had with the 'ladies of the river' that we seem to have made it an annual fixture. Once at the waterside we went our separate ways until our mid-morning donut was due. "How many?" he asked - "Three" I said proudly "you?" - "Thirty!". Thankfully I didn't hold on to the embarrassment but continued to enjoy the day losing lethiathans and landing littler ladies, untangling birds-nests and admiring a hunting marsh-harrier. 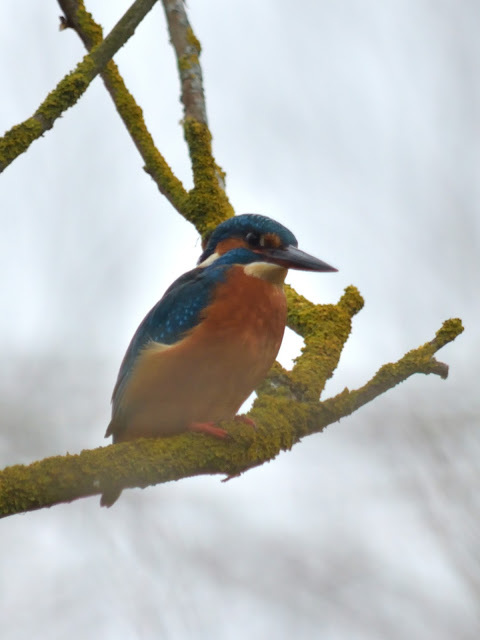 My mornings most weekends begin with a couple of hours at dawn, trotting a worm beneath a bobber along the jetties and between moored boats on the River Stour watched over by hungry and highly-opportunistic robins, redwings, blackbirds, song thrush and this not so koi kingfisher. This has spot has been a tranquil haven for me, providing necessary escape and solitude until recently as it has become overrun with pike anglers clutching at the last straws of the season. By no means is this a criticism but in order to maintain my enjoyment, ever mindful of the sands of fishing-time slipping through my fingers, I opt not to compete. As the season draws to a close, my tickets approach expiry and the wriggles and kicks visible on the surface of my wife's incredible baby-bulge become evermore violent, I know that each trip may be my last. For a while at least. I assign myself one last mission to catch a carp from one of the gravel pits abundant in this part of Kent. I spent Saturday morning swimming with my wife, which is the only form of exercise she can really do at this stage of pregnancy, then on to mothercare and boots to buy the remaining miscellaneous necessities in preparation for our daughter's debut. By the time we were done and my gear was loaded into the car there was an hour left of light. Once at the lake my eyes strained to make out far bank features and after tentatively casting a lead towards intended spots only to find a multitude of overhanging branches I decided I had time for 1 cast per rod before dark- at a push and so put the rigs on and confidently pinged each rig precisely into position. That was a first for me! Making use of landmarks on the distinctive treelined horizon I fired free offerings out in the dark with my catapult, a wild shot in the dark if ever there was one! 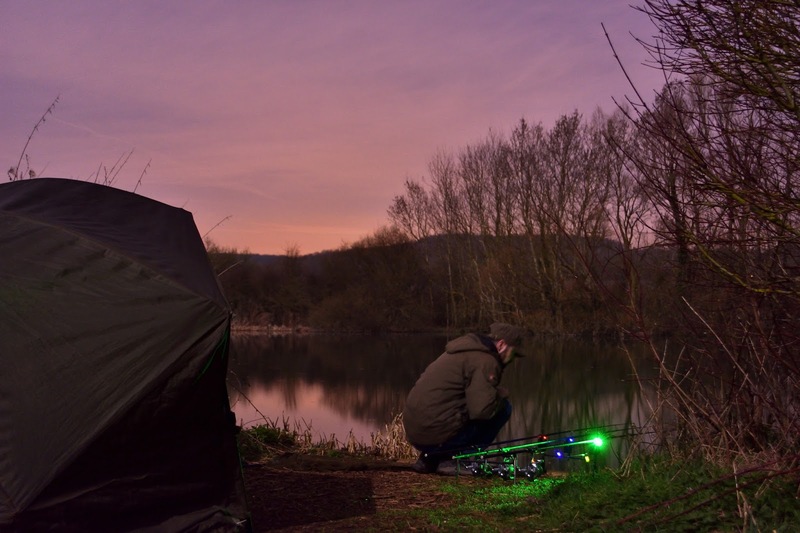 As I nestled down for the night beneath an almost full moon, the onset of sleep was intermittently interrupted by line-bites - encouraging to know that carp were chasing around after their widely scattered supper. 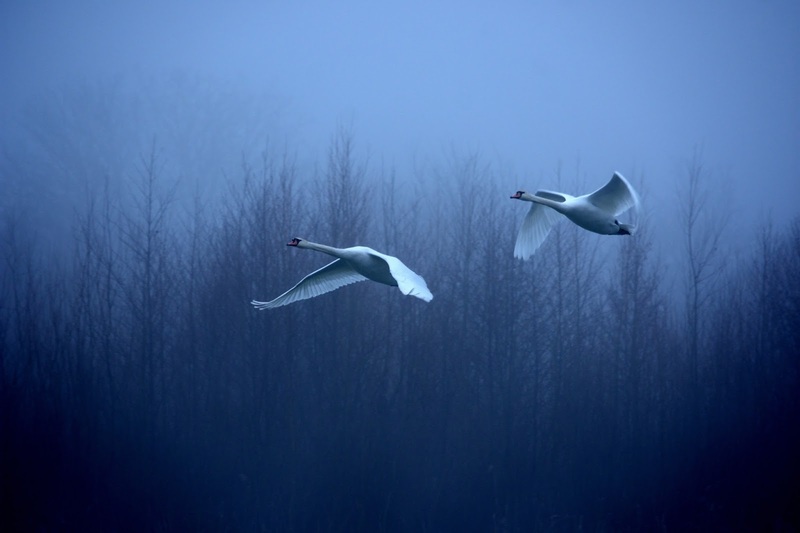 The witching hour was announced by the tone of my alarms, a bite which dropped back rapidly as the fish took the bait away from the reed bed it had been kissing since sunset. 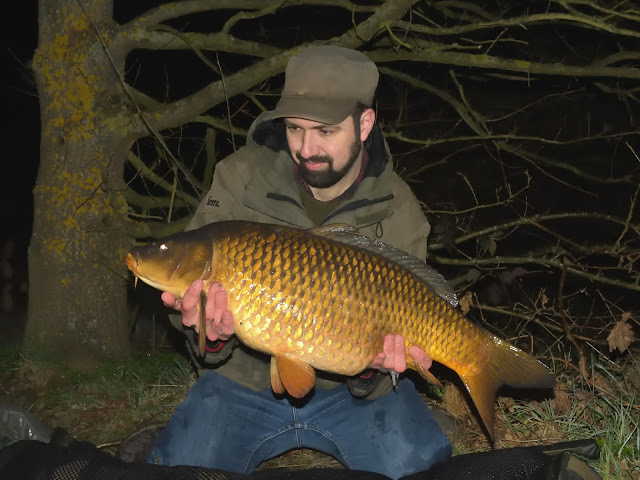 As I lifted this glorious common carp out of the water I realised it was bigger than I had first thought in spite of its feistiness. As I held the scales aloft the dial turned to 20lb 12oz. "20, 12" I said aloud. The implications of this ominous number began to dawn on me as I recollected Nostradamus had predicted that the world would end in the year 2012. Could it be that my angling might also end with this 20-12 in accordance with the prophecies of the many wise sages coupled with anecdotes of their own parental experiences?